As the title implies, this post is the first in a series that will unfold as we march forward to July 25, trying just as hard as we can to prepare for this massive kick in the jaw called cross-cultural ministry. 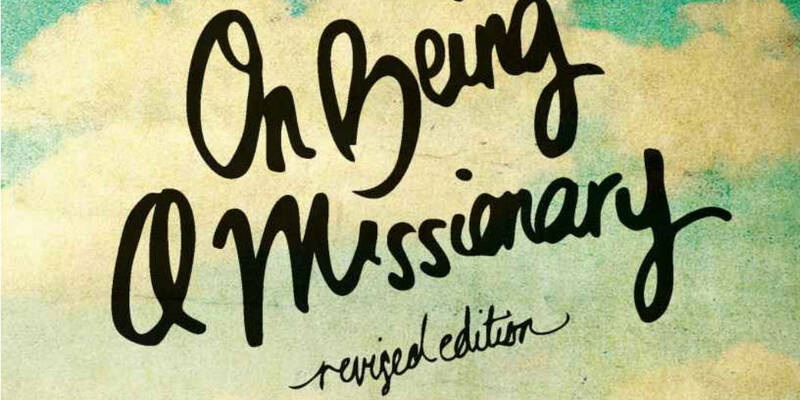 One step in our preparations was an assignment from the mission team in Karamoja to read a book entitled On Being a Missionary, written by Thomas Hale. As I began to read, it occurred to me that posting my comments on each chapter here would help me to explore my thoughts on the book and aid in my critical thinking on its subject. I hope that it will serve the dual purpose of aiding in your own thoughts on the subject of Missions and (hat-trick purpose) give you some greater insight on how to pray for us as we ready ourselves to go. If you’d like to follow along, it’s available free from Google Books. The purpose of the book, laid out in the first chapter, is not to be a manual or even a compendium of information regarding foreign missions. It’s goal is modest: to describe Mr. Hale’s experiences during his many years as a missionary in Nepal and draw some conclusions from these experiences that will serve to aid others in knowing what it is like to be a missionary. To begin, he wants to define several terms. 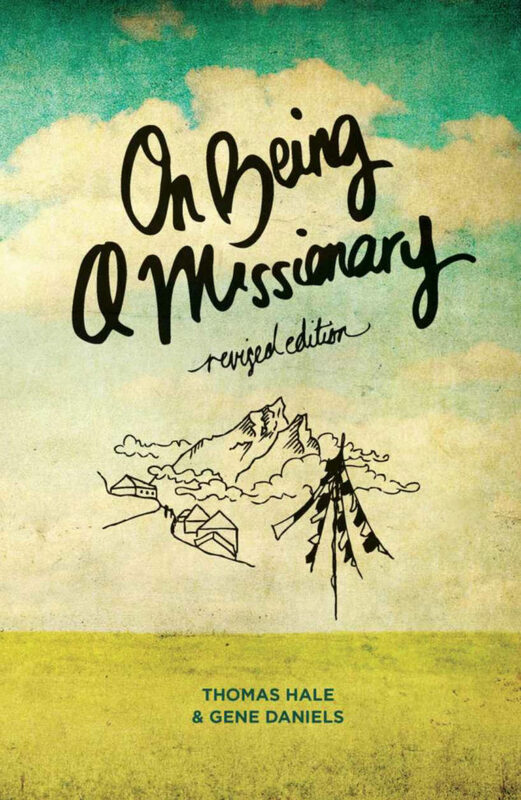 He acknowledges that all Christians are called to be missionaries wherever they find themselves, but for the purposes of the book, we (he) will limit the use of the term “missionary” to someone who crosses cultures for the purpose of sharing the Gospel. Second, he defines the term “mission field” as any place where non-believers are found, especially places with few or no Christians (for our purposes, Karamoja fits the bill). The meat of the chapter, to which we now turn, consists of answering several questions often raised regarding missions work, both of which I’ve encountered at New Life (our home church for those of you joining us from out of town). The first of these questions is, “shouldn’t we just send money to some incarnation of the Church in Uganda and let the nationals there evangelize their own?” The second is related, “Why can’t we rely on technology to cast the message more broadly than a single person on the ground could?” Hale has a number of answers to both of these questions which I will co-op, but the first thing that strikes me about both is that they reflect a very business-oriented approach to missionary work. If this were a profit-making enterprise where souls were the currency we dealt in, these ideas would make sense as a way to increase profits while decreasing expenditures, and Christ would have told parables like this: “The Kingdom of God is like a line graph with a positive slope where the x axis represents time and the y axis represents number of saved people.” As it is, however, the Kingdom of God is a messy enterprise, like wheat and weeds, like yeast, like a net full of fish. Even if we want to quantify our work, we are compelled to remember that success or failure rests not on us, but on the work of the Spirit. We are called only to be faithful in our proclamation. We must, of course, strive to be good stewards of whatever God has given us. This means that we ought always to do our research, seek counsel, and ask God to direct our steps. But we must not be afraid to give generously to the building of Christ’s kingdom (in fact, the great generosity already shown to Chloe and I allows me to write this without even a hint of self-consciousness that such advice might be self-serving). Broadcast technology has certainly proved useful in many contexts and can be a wise use of resources, but I’m not sure it ought to be our go-to option in the majority of instances. Paul would have done very well sitting at home in Jerusalem or Antioch furiously penning epistles to the churches, but he knew the import of having boots on the ground, his boots. There is great value in people of one group going to their own (see Dave Okken’s latest blog post for a stirring example of this), but the Church becomes truly global and her view of the Kingdom becomes more truly universal when she crosses cultural boundaries to minister. It is then that we realize we are not Americans and French and Chinese and Karimojong, but that we are all Christian and it is this (holy) nationality that trumps all other allegiances. All of this leads us here to ask the question, what does what I’ve written above mean to our involvement with the mission in Uganda? For the sake of brevity (this being by far the shortest chapter of the book), I’ll mention a few things briefly. For my part, God has used the various short-term missions trips that I’ve participated in to stoke my interest in the worldwide church. The Okkens, who were my Youth Group leaders, left in my sophomore year of high school. Several years later, Dr. Prawius, who was serving with them, came and stayed with my parents for the weekend. His account of the work there prompted my desire to go and visit. In 2006, I made my first trip and was overcome by the necessity and difficulty of the work the group in Karamoja was doing. Having experienced firsthand the benefits of a local congregation growing in their involvement in the Church universal by sending her own members, Chloe and I hope that our ministry will serve to further the same. Even as we go with the purpose of aiding the diaconal work there, and assisting the pastors’ work of Gospel proclamation by taking some of their mundane but time-consuming tasks, it may be said that we are not truly going as missionaries, since we are not crossing cultures for the express purpose of preaching the Gospel. In one sense, this is true, and I’ve had many lively discussions (some in my own head) about whether our work is really a worthy enterprise. In another sense, the mission in Karamoja is an organism with various parts doing different work. The pastoral ministry is no doubt the central aspect of the work, but things like the farm project and the medical clinic there serve to adorn the Gospel proclamation, and even the decidedly non-glamorous tasks like running errands and balancing a payroll are necessary functions, and doing them allows the pastors to concentrate on study and preaching. By one account, we go to be missionaries, by another we go to be simple secretaries. In either case, we hope to be building living stone upon living stone. Whether architect or lowly mason, our common goal is the raising of the temple of God. Great start Christopher. Very clear and thought provoking. Love how you emphasized that it is God’s work and you are just the “jar of clay”..willing and by God’s grace able to serve in whatever capacity the Lord allows. The church needs the hands and hearts as well as the head and mouth..